At 94-years-old, Jonas Mekas is undergoing a literary renaissance. 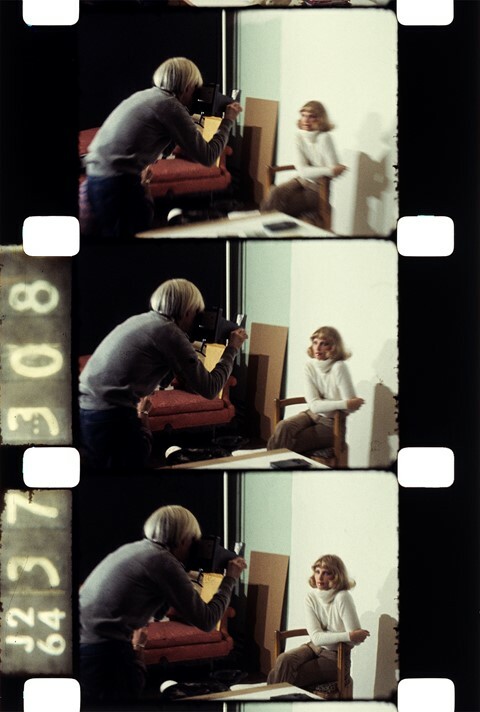 The esteemed filmmaker, poet, and artist is publishing five books of work, most notably A Dance with Fred Astaire (Anthology Editions), a visual autobiography comprised of anecdotes and drawn from Mekas’ life after his arrival in New York in 1949. 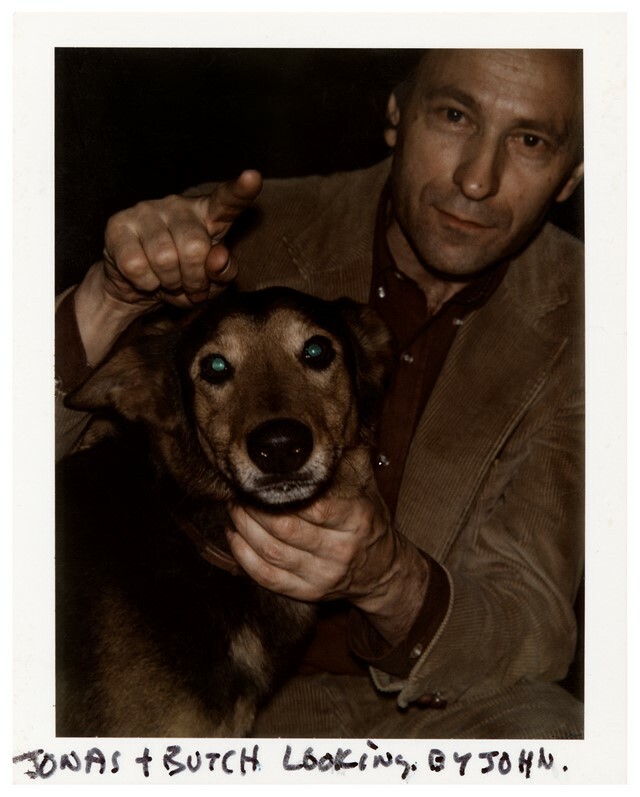 Born in Lithuania in 1922, Mekas was a teen when the Russian Army invaded his homeland. As he and his brother, Adolfas, attempted to flee in 1944, they were captured and forced to spend eight months in Elmshorn, a Nazi labour camp. When the war ended, they became Displaced Persons living in refugee camps, until finally able to emigrate to America, settling in Brooklyn. Once in town, Mekas planted new roots, from which the tree of life has grown firm, with many branches bearing countless fruits. At his deepest core, is a love for cinema, its revolutionary forms, and a profound respect for the avant-garde. Together with his brother, Mekas launched Film Culture magazine, which ran from 1954 to 1996. His commitment to community went far and wide, enabling him to serve a need and fill a void. Mekas became the first film critic for the Village Voice, founded the Film-Makers’ Cooperative and the Film-Makers’ Cinematheque, which has since evolved into Anthology Film Archives, located in the heart of the East Village. 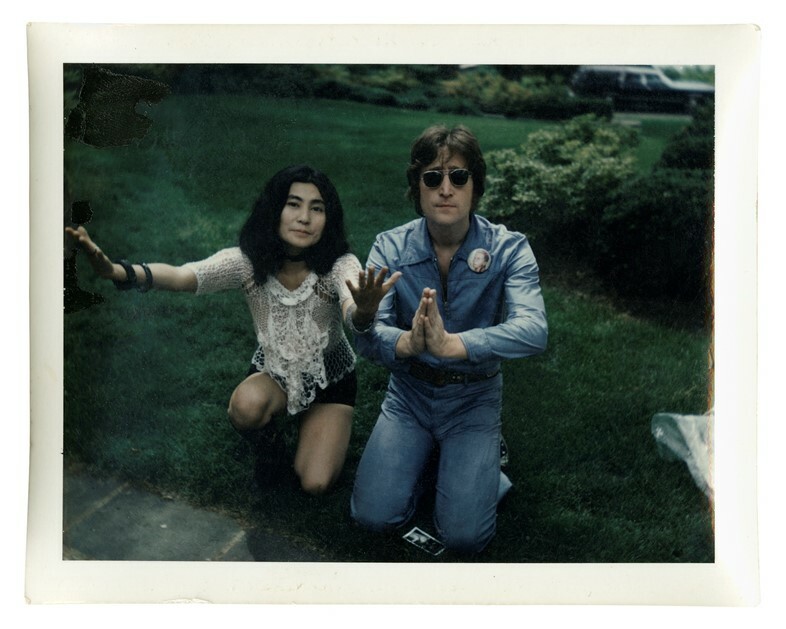 Along the way, he met and collaborated with some of the greatest figures of the times, from Andy Warhol to Salvador Dalí, John Lennon to Jacqueline Onassis. As you weave your way through his work, the words of Plato reveal themselves time and again: “Necessity is the mother of invention.” His is a singular life unlike any other, one filled with passion, determination, and innovation. His stories inspire, enlighten, and entertain with equal parts charm, courage, and originality. Mekas takes us on a stroll down memory lane, sharing the knowledge and wisdom garnered from a lifetime dedicated to art. Jonas Mekas: Some of the stories are more serious, some are more humorous, but most are with a smile. It’s an autobiography in the form of anecdotes. My life has so many branches that one cannot give a really good of idea of it in just one book so there are other books. What was the inspiration to write your story as a series of anecdotes? Jonas Mekas: It began with people asking and sometimes I was just telling. It took ten years to write. They emerged one by one as I remembered something. How did you decide what made the cut? Jonas Mekas: I used practically everything I wrote down. If someone asked me a question like, “How did you bring Jean Genet’s film?” I have to tell the story. If something jumped in my head, like “Oh Jack Smith, I remember when we went to that television station” or “Anna Karina, I remember I had this interview with her,” so I dug it out. Did you have a sense of archiving information and objects for future use? Jonas Mekas: No, I did not think about the future. I don’t think even when I am doing it – I am just doing it. None of us thought that it was important what we were doing in the 60s or 70s. We just did it. When I met Andy Warhol, George Maciunas of the Fluxus, Yoko Ono, and Robert Frank, they were not famous but they became known through what they did as time went on. That’s very interesting. We are living in a time where everyone is so caught up in instant gratification. Jonas Mekas: Whatever I did was not for some personal gratification. There was a necessity to do it. Most of my life was dedicated to creating various organisations, mechanisms to help filmmakers like creating the Film-Makers’ Cooperative to help the distribution; Film Culture magazine to help exchange our ideas about cinema, to argue, to fight; or the Village Voice column. There was a necessity to show films and to preserve films (so I created) Anthology Film Archives – because films fall to dust unless you do something about preserving them. Few things survive by themselves. Art is fragile. It was not always easy. It would be easy not to do that at all! But I had to do it. It had to be done. But no. They all know that I am building it and need money but nobody is helping me. Most of the help is coming from the artists. It was that way from the very beginning. When I bought the building from the city (that is now Anthology Film Archives on the corner of Second Avenue and Second Street), it was a ruin. The first person that helped me was Agnes Martin, the great painter. Filmmakers, film producers should help me to build a library for cinema. I could travel and enjoy myself, like people do. No, I cannot do it because it must be done! It strikes me this is your passion, your drive. Jonas Mekas: Yes. If you love something, you want to share it with others. You want to preserve it so that it will be there later, so it won’t disappear. It’s a responsibility to the community, for others, for the art. If nobody is doing that, I have no choice. I have to do it! That’s a good statement about your entire career. Jonas Mekas: Yes. That’s how my life has gone from the very beginning. And sometimes, things do not get done… Like with Jacqueline Onassis, and how you were talking to her about making a film – until when the money people came in and killed it because she refused to sell it to them. Jonas Mekas: She was a very unique person, very sensitive and very intelligent. They could not buy her. She did not want to play their game. Jonas Mekas: (Laughs). They trembled! I was intrigued by your experience of going back to the Soviet Union after all those years, getting in, and being able to manipulate the situation. Jonas Mekas: Yes! They did not know what to make of me. They thought maybe I am an agent, and I used that. I knew that I could manipulate them that way. Reading that chapter was like watching a grandmaster play chess. What was it like going back to your family? Jonas Mekas: I did not know what I would find at all because one could not imagine just from general letters. When you go back 30 years later and it’s like discovering that reality of childhood. You look for what you still remember. I made a film, Reminiscences of a Journey to Lithuania. I wanted to film my mother but also some places that I remembered. It was important, looking for fragments of my childhood. Jonas Mekas: It’s so iconic. My first photograph ever taken was ruined under the boot of a Russian soldier (Laughs). It was a theme for your relationship to authority. Jonas Mekas: Yea, that too! And using the media to challenge that. Jonas Mekas: And also a certain kind of ignorance and innocence because grown-ups knew this is bad. Bad things are happening. The Russian Army is taking over Lithuania. But I did not know that much about the past, history, armies, and occupations. To me, this was just the very fact that the tanks are rolling and it looks nice, the dusty road... very good for photographs. I just went and (took the photo), not caring about the consequences. What was important was to take the picture. Same as later with screening Jack Smith’s film Flaming Creatures (a New York screening was shut down by the police on April 29, 1963 and it was banned in 22 US states thereafter). People told me not to do that but it was normal. I had to do it. People had to see it. We are not showing it at Radio City Hall. It was tiny: 20-30 people, all friends. Same thing: different kind of boot. Other people might have been like, “I’m done!” but that wasn’t the case for you. Jonas Mekas: To me, this was normal. I almost expected (to get arrested) and that’s why I took a chicken sandwich with me. I knew that’s who they are and that’s what they will do, and I will do what I have to do. I will do it again. I will eat my chicken, they will let me go, and I will do the same. I just invented new methods like: Okay, if I cannot show openly and sell tickets, then I will create a non-profit organisation, Film-Makers’ Cinematheque. I went around them and I still screened. Do you have any advice for pushing the edge, of being conscious of authority but not letting that keep people back? Jonas Mekas: My method, the way I am and the way I do, is just permitting things to come – to be open. Not to push at all. When you push, very often you push the wrong way or the wrong idea. Whenever I did something that came to my mind, very often it was wrong but what I did when it came from the necessity, from the outside, I became very open to what needs to be done. It is like birth. The most important event in human life and it comes by itself but sometimes it needs help by a midwife. My writing in The Village Voice was to point out not only the beauty of the cinema but to protect it when it was new and fresh. You can kill it very easily when it is young. If I have any advice it would be to be open to what it coming by itself. Not by pushing a certain idea with a tank behind it or a gun behind it: “You have to believe this. You have to do this.” Not like that. You have to be very open to the realities and ideas that come your way. They are very fragile and just emerging. There’s a tendency for people to push. Jonas Mekas: Yes, we have as president who believes in that. What is it like to see reactionary fascism come around again? Okay, so we’ll stop a little bit but then our next move will bring us further. So I am very optimistic. This won’t kill the progress of humanity, it’s just going to bring us a few steps back. Jonas Mekas: Yes, because if I would believe that everything depends on humans, I would be a pessimist. I don’t believe that everything depends on humans. There is also nature and there are angels. Nature, we are not going to destroy nature. Nature will destroy us. 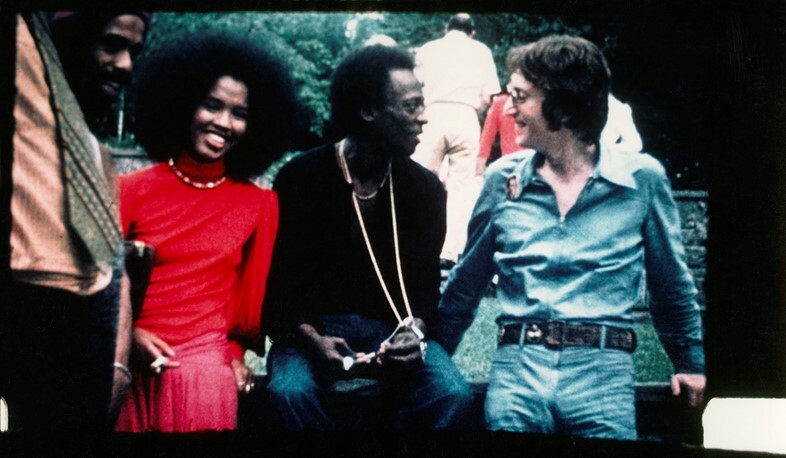 Jonas Mekas: And angels are there, watching and smiling.